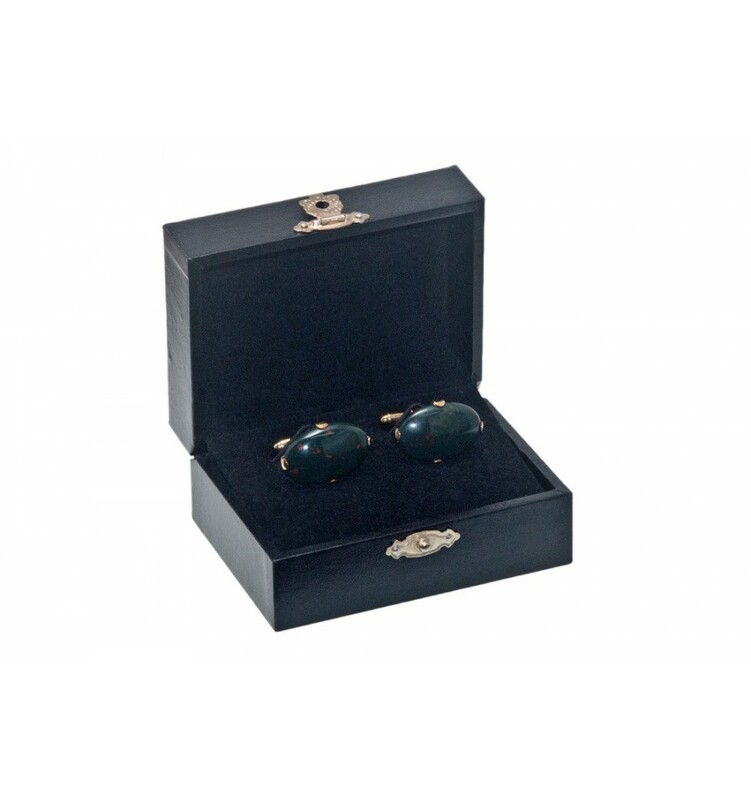 BLOODSTONE GOTHIC MEDIUM OVAL GOLD PLATED STERLING SILVER GEMSTONE CUFFLINKS. Spectacular oval cufflinks in bloodstone gemstone and gold plated sterling silver. 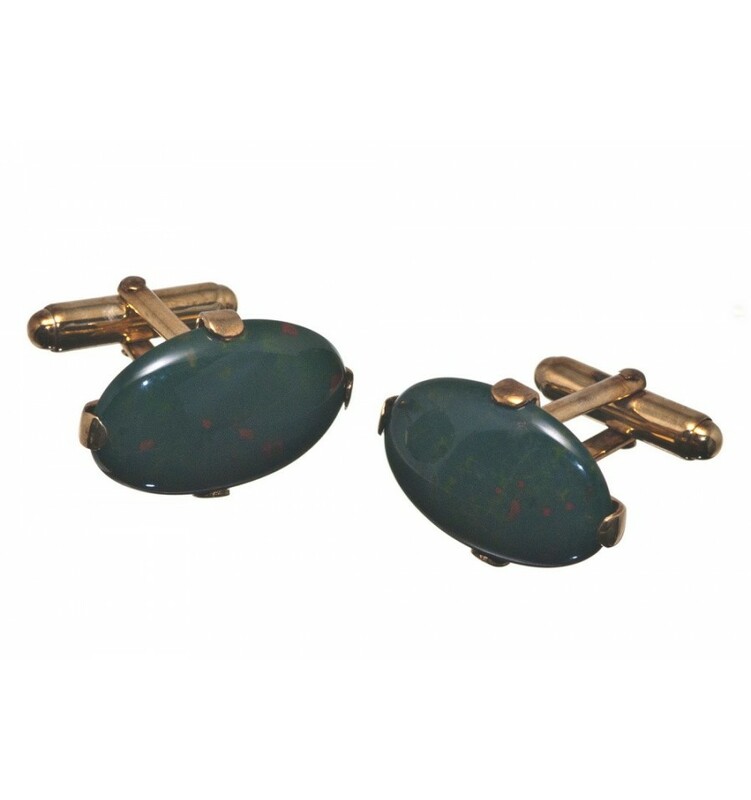 These strong impressive cufflinks are crafted from two pieces of the same rock and measure 23x14mm. The bloodstone cabochon is attached to the gold plated sterling silver swivel by a cross fixture and clips, a Gothic effect...Our silver is 926 assayed and marked. We design, manufacture,package, market and distribute all our own jewellery products. It's good fun, good business and provides very good value. We have built up and maintain a good customer base (thank you!). 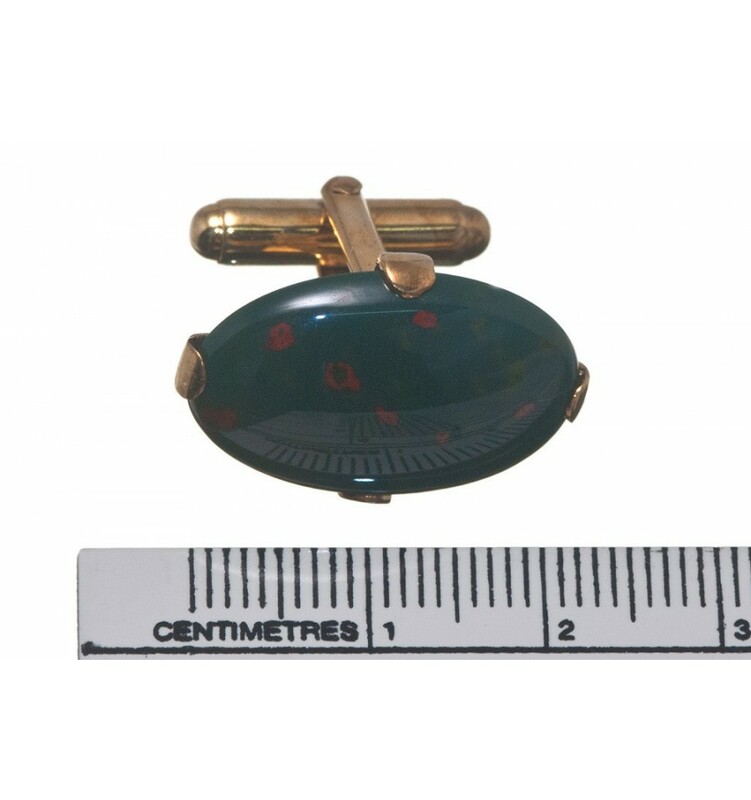 Free, Worldwide registered delivery includes a smart cufflinks presentation case, full insurance and our complete 30 day replace or refund warranty. These are great for gifts, reflecting credit to giver and wearer. Please buy now and enter The World of Regnas Cufflinks.